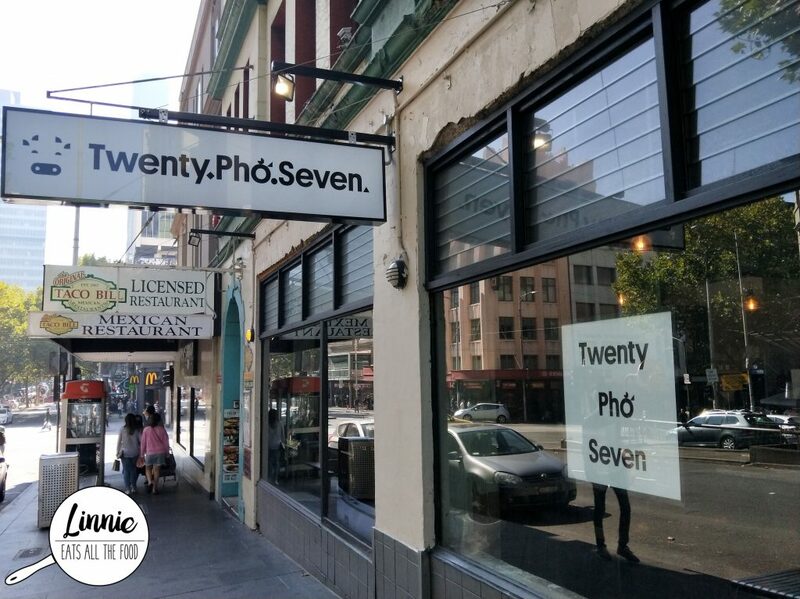 Twenty Pho Seven, a pho place which opens 24/7 (say WHAT??) has landed in the city in Melbourne. Stepping inside you can smell pho broth and you’re greeted by friendly staff. 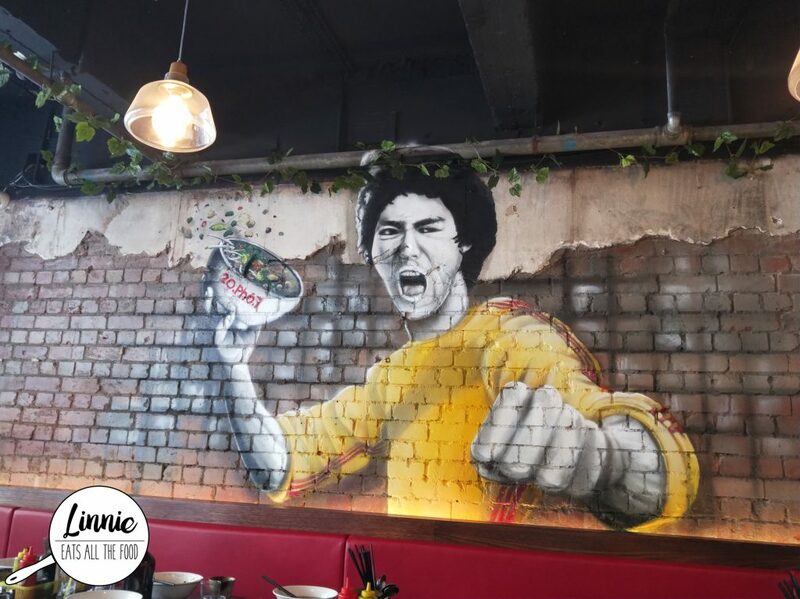 Now, inside you’ll find a great mural in an urban environment. You will definitely feel relaxed here and no one rushes you out. 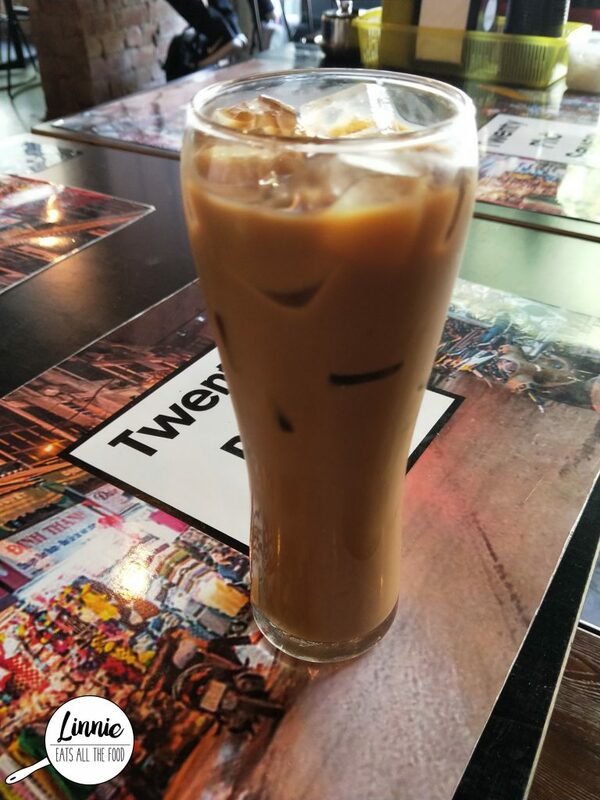 To start off the day we had a vietnamese coffee which was great except it wasn’t strong enough in coffee and there was a bit too much condense milk, making it a touch too sweet for our liking. 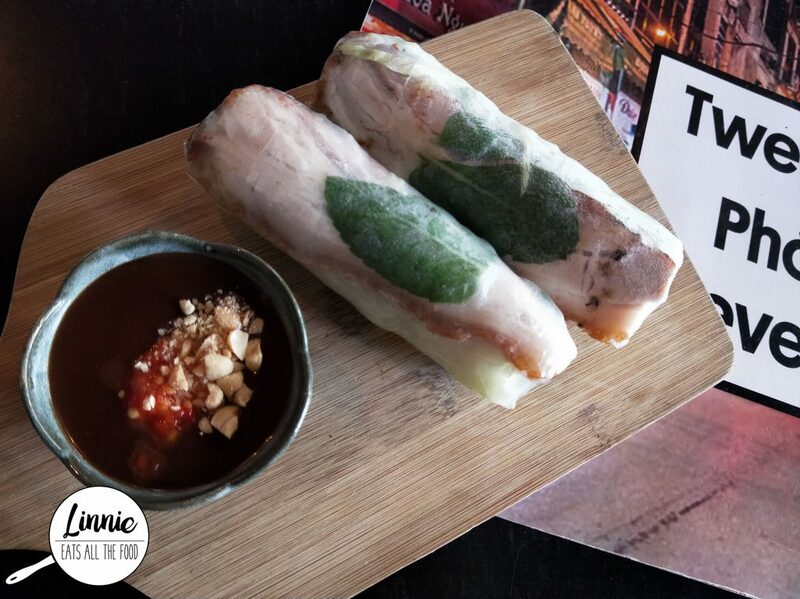 First up, the crispy pork belly rice paper rolls and they were GINORMOUS. They were fresh, full of fresh herbs and flavours and when I saw the amount of pork belly, I didn’t think it would have been enough. Boy was I wrong. It was the perfect amount. 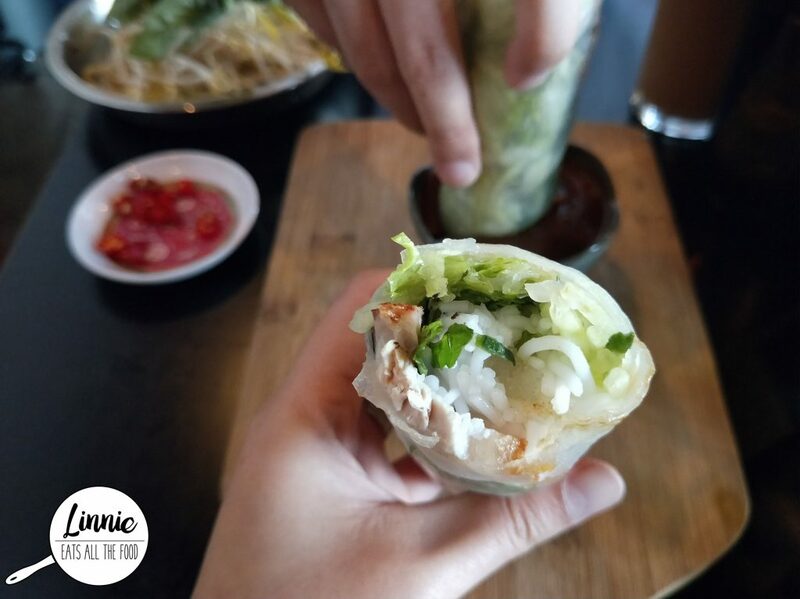 The saltiness of the pork belly was balanced by the freshness of the rolls so you didn’t need as much peanut sauce either. I got the sliced beef pho and boy was it HUGE! There was a generous amount of sliced beef and of course a heap more of the noodles to match. 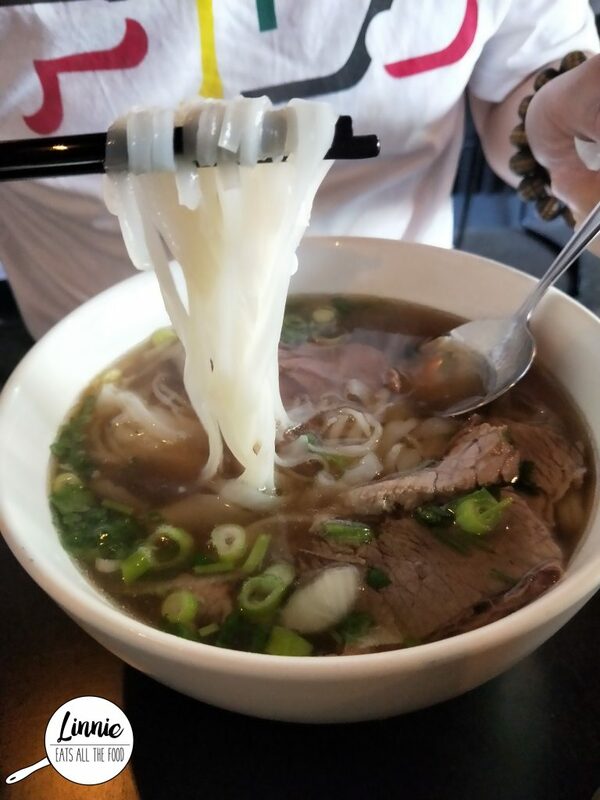 The broth was very light in flavour and not the usual intense flavour you associate pho with. It was missing a bit of oomph which would have made it perfect, other than that, it was pretty delish. 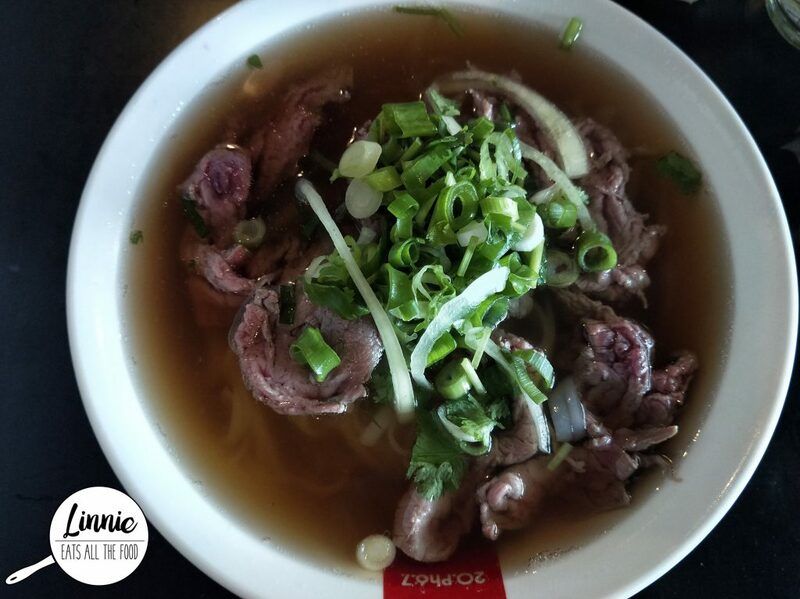 Also, just a tip, when you get your bowl of pho, remember to separate the sliced beef so it can be cook through (if you like it like that). Mr D got the sliced beef and brisket pho which had the same broth but included brisket. The brisket was a touch tough but he quite enjoyed it overall. Twenty Pho Seven has very friendly staff, quick service with pretty good pho to match at a great price. 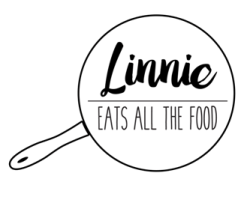 If you ever feel like having pho or anything other Vietnamese dishes at 3 am in the morning, luckily you can drop by here to satisfy your cravings. 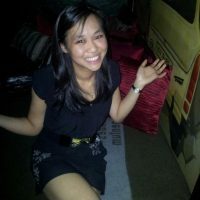 I will definitely be back to check out the rest of the menu. Disclaimer: I was honoured to be invited to dine by Twenty Pho Seven and all opinions expressed are my own.